All too often when you come across a really good resource online you want to share it with others who you know will benefit from it as much as you did. Unfortunately in being a Good Samaritan at times you may be breaking the law. 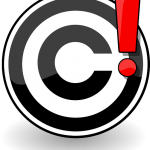 You may not even be aware you are doing something illegal as copyright law is not something everybody understands clearly. Here are a few tips to share resources you find in a legal manner.